Pop sensation Ke$ha’s highly anticipated single, “Die Young,” was leaked online earlier than expected yesterday (anyone surprised?). ‘Die Young’ is the first single to be taken from Ke$ha’s forthcoming album ‘Warrior’. Harry, Liam, Niall and Zayn each have their own cover, whit a group photo is on the sixth cover. 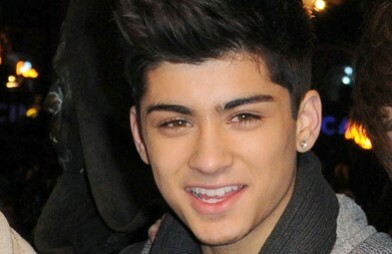 One Direction’s Zayn Malik was allegedly recorded arranging a hook up for him and Harry Styles. Perez Hilton has posted the audio and reveals that the recording has not been confirmed to have been the One Direction star. One Direction rips off The Clash – What do you think? Following the unveiling of their latest video, One Direction have received massive Twitter backlash after fans began commenting on the similarities of Live While We’re Young and The Clash’s Should I Stay Or Should I Go. 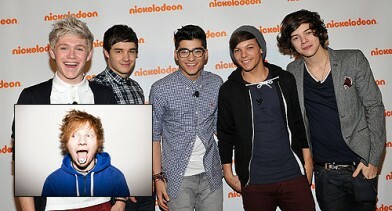 Ed Sheeran has revealed he has written two tracks for One Direction’s upcoming November album release, Take Me Home. Green Day’s frontman is headed to treatment for substance abuse. The band’s rep announced the news to The Associated Press today and comes after the 40-year-old had a meltdown onstage at the iHeartRadio Music Festival in Las Vegas on Friday. 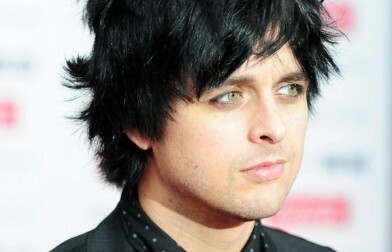 As Green Day was wrapping up its performance during the all-star, two-day concert, Armstrong profanely complained that the band’s time was being cut short. The troubled actress is a little pissed off that the victim of Wednesday’s accident, Jose Rodriguez, is claiming that she was drunk at the time. Live While We’re Young, One Direction’s eagerly anticipated new music video for their new single has been debuted today. The release was brought forward after an unauthorised “poor quality” version of the video appeared on the internet yesterday (20th September).It was originaly set to premiere on 24th September. Shakira is expecting her first child with her footballer boyfriend, Gerard Pique, a Spanish international footballer who plays for Barcelona. 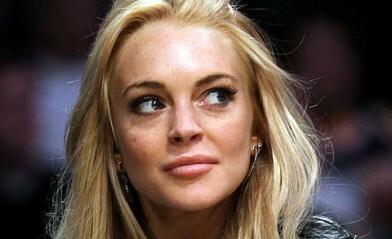 The Colombian star confirmed on her website that: “Gerard and I are very happy awaiting the arrival of our first baby”.